Mahindra and Mahindra Limited is, in essence, a multinational car and bike manufacturing company. Presently, the reputed automobile company has its headquarters located in Mumbai, Maharashtra. As far as the Indian subcontinent is concerned, Mahindra and Mahindra Limited is one of the largest producers of the car, bike and the largest manufacturer of tractors across the world. In the reputed ranking of the Fortune India 500, Mahindra and Mahindra Limited were ranked twenty-first. Is Mahindra Bike Insurance Compulsory? First and foremost, it must be realized that insurance, in general, is always important. Since automobiles are always vulnerable to accident or theft or any other bodily injury, getting a bike insurance means one can calm and avail of the compensation in such untoward cases. It must be strictly noted that each and every bike plying on the road must have an insurance policy that is valid and equipped with the maximum coverage. 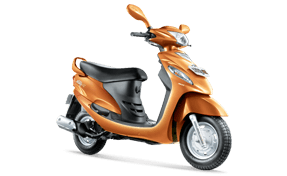 Therefore, it is of high importance that the owner of the bike avails of the Mahindra insurance policies according to his or her choice. 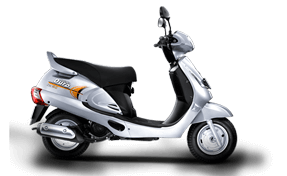 Are Bike Insurance Policy Schemes Different For Different Models? So far as Mahindra Gusto is concerned, there are various insurance companies that provide insurance for electrical accessories as well as updating of latest bi-fuel kits. Third party insurance package is always very strongly recommended. Zero depreciation cover is offered by many insurance companies along with financial covers for incidents of theft. Before opting for a particular insurance package, it is always advised to do a thorough comparative study of various policies offering a range of premiums and coverage. Mahindra Duro DZ is another variant of the parent Mahindra Duro. Zero depreciation cover is available for this variant also. Also, financial cover for theft is available. Personal accident cover is available at many insurance portals along with the updating of electrical and non-electrical parts. Voluntary deductibles are available at some of the insurance companies along with third-party liabilities. Personal accident cover and automobile associations are available at many insurance portals. So far this model is concerned, it is essential to note that since it is designed specifically for office-goers, it needs to be fault-proof. Therefore, it is necessary to opt for a comprehensive insurance policy for this variant. So far as theft cover is concerned, the bike comes equipped with a theft alarm. Also, it is important to secure a third party insurance package so far as Mahindra Centuro is concerned. So far as Mahindra Pantero is concerned, Personal accident cover is available at many insurance portals along with the updating of electrical and non-electrical parts. Also, a third party insurance package is strongly recommended. 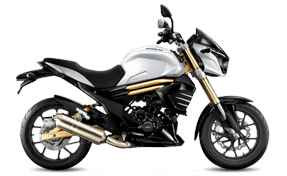 How To Buy The Mahindra Bike Insurance? First and foremost, what is important to enter is the registration number of the bike concerned. It is strictly advised to enter the registration number carefully and precisely. 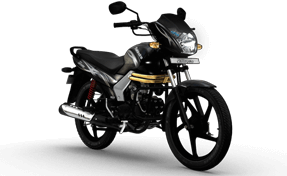 Since it is the first time the insurer is getting insurance, it is important to understand the various policy packages available under the Mahindra Bike Insurance. The concerned insurer is strictly advised to be aware of the most appropriate insurance policy and go for the one that is respectively favourable. After the insurance policy package has been selected, personal details need to be entered. The personal details include the insurer’s full name, Email address and Mobile Number. Also, a very important domain to fill in the city of registration of the bike concerned. Each and every detail should be filled carefully and precisely as needed. Different insurance policy packages come with different terms of the agreement. It is advised to first go through the terms and conditions thoroughly before agreeing to the overall agreement. The finer nuances of each and every term or conditions should be thoroughly seen and understood. Internet banking is available for payment. As soon as the payment is made, the concerned policy document is sent to the registered Email address. It is strongly advised to enter the Email address carefully and correctly. As has been mentioned earlier, before buying insurance, the concerned insurer is strictly advised to first go through the various insurance policy packages. The insurance plan that provides the most appropriate coverage for the Mahindra bike must be selected provided it suits the preferences of the insurer in the best possible way. Therefore, a comparative study should always be done before eyeing on a particular insurance policy package. It ensures peace of mind afterwards and a hassle-free experience. How Can The Mahindra Insurance Policy Be Renewed? Mahindra insurance policy can be renewed according to various insurance options. To save both time and money, it is best to renew the Mahindra insurance online. As always, one must first compare the various insurance renewal plans and then stick to the one that is most favourable. Subjective balance is very important while eyeing on a particular insurance renewal plan. How Affordable Is The Mahindra Insurance Policy? Under the insurance plan, there is the zero dep cover that covers the rubber parts of the vehicle. An add-on cover may be bought to cover the expensive electronic parts of the vehicle involved. 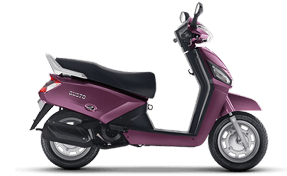 The add-on policy also covers the non-electronic items of the bike. Mahindra offers the ARAI service which is an anti-theft gadget. One can avail of it at a reasonable value. In this case, one is eligible for special discounts.